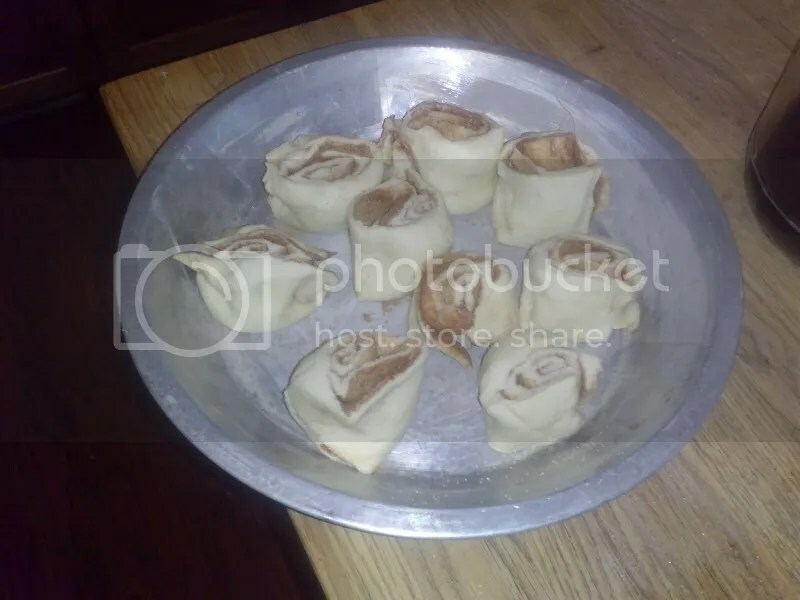 These mini cinnamon rolls are simple, delicious and easy to prepare! My kids love fresh baked, warm breakfasts! I always try to give them something filling and delicious but baked goods take time to prepare and bake! These take 15 minutes and taste like they took hours! 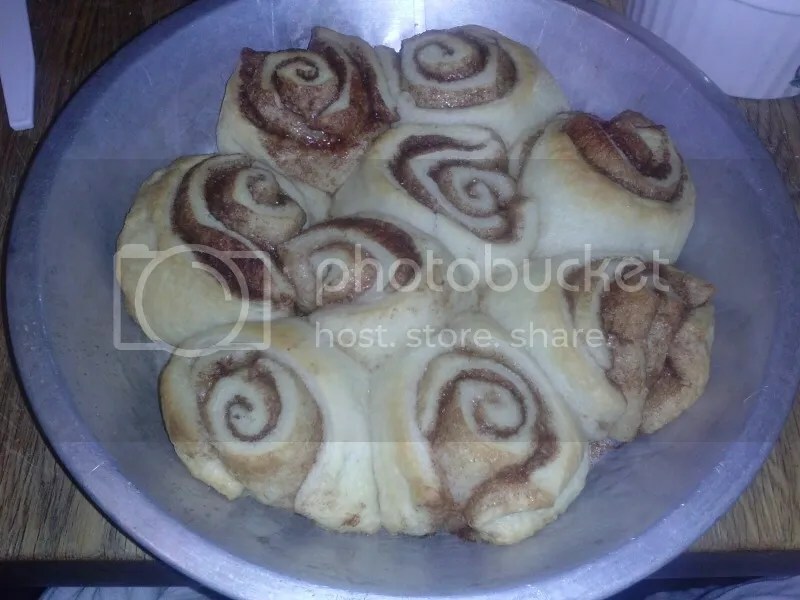 6 ingredients and 15 minutes to warm cinnamon rolls! Preheat your oven to 375 degrees and open the crescent rolls. Unroll the crescent sheets and lay them flat. Spread about a tbs and a half of softened butter onto the crescent sheets. 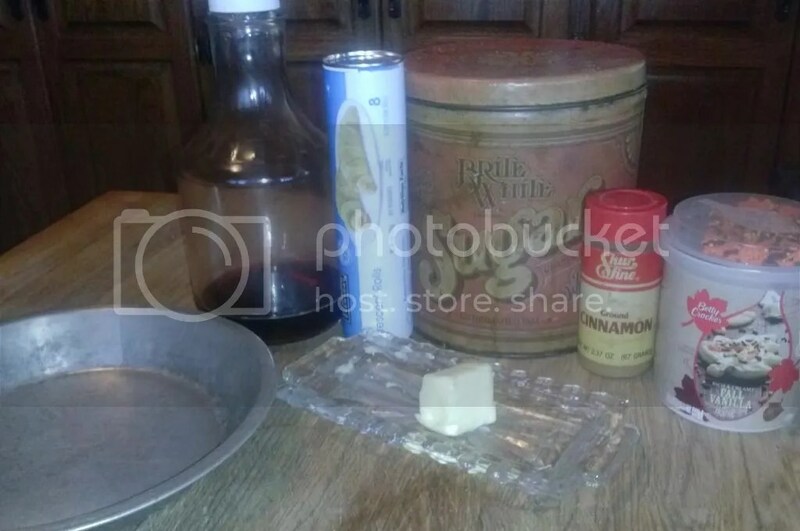 Grease your pie tin with the remaining butter. 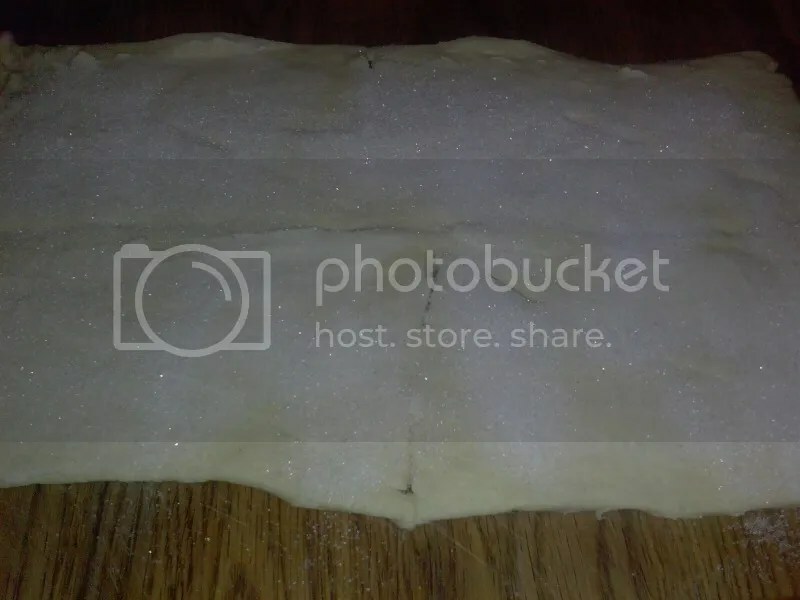 Sprinkle about 3/4 tbs of granulated sugar all over the crescent sheet. Then sprinkle on about 1/2 of a tbs of cinnamon. Then rub together, I use my hand to smooth it. Slowly and carefully, roll the crescent up. 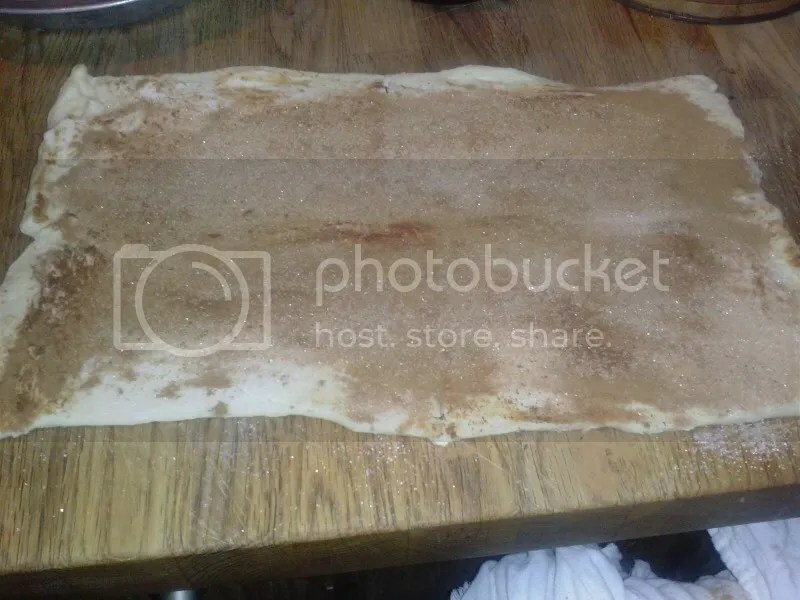 Cut the cinnamon rolls. You can get 8 to 10 depending on the cut. Then place into the greased pie tin. Place in the oven for 10 – 12 minutes. 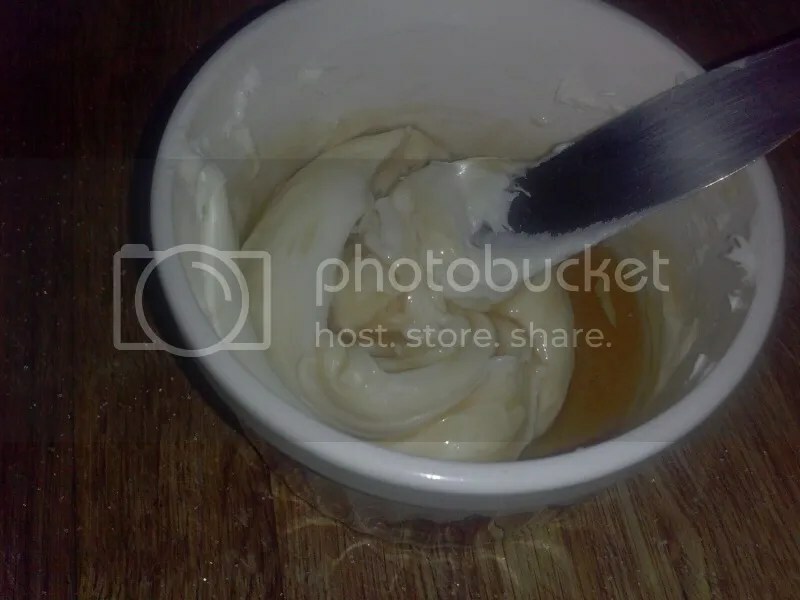 While they are baking, take about 1/4 cup of vanilla frosting and 1 tbs of maple syrup and put them in a bowl. 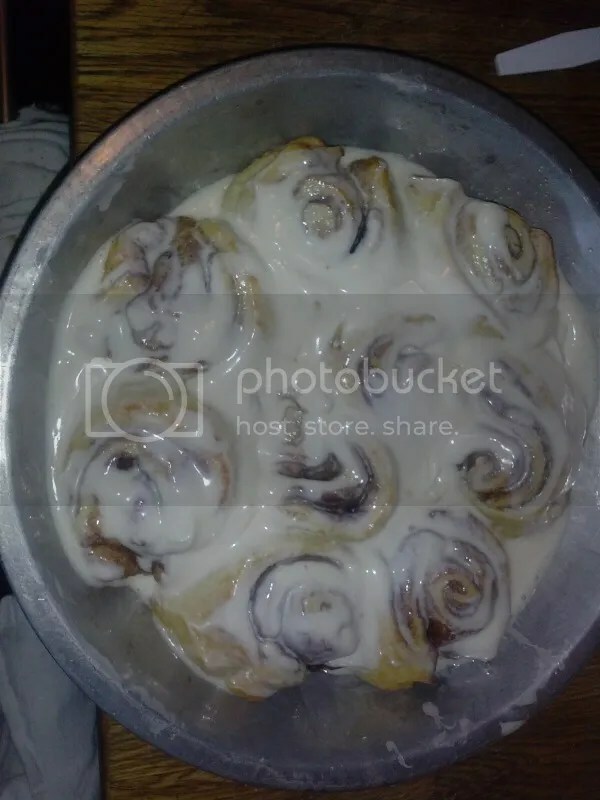 Glaze the cinnamon rolls right when they come out of the oven! These little treats bring smiles to every one’s faces! 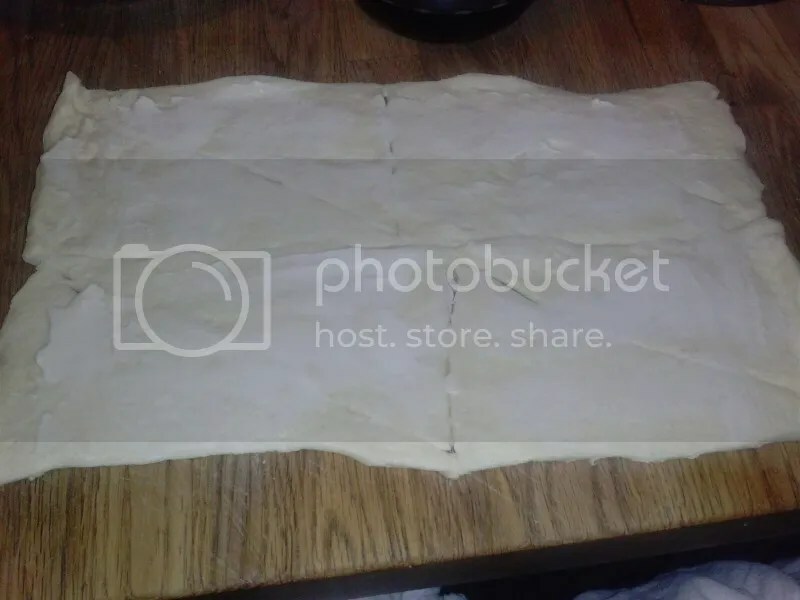 Open the crescent rolls and lay the sheets out flat. Spread 1 1/2 tbs of softened butter on the sheet. 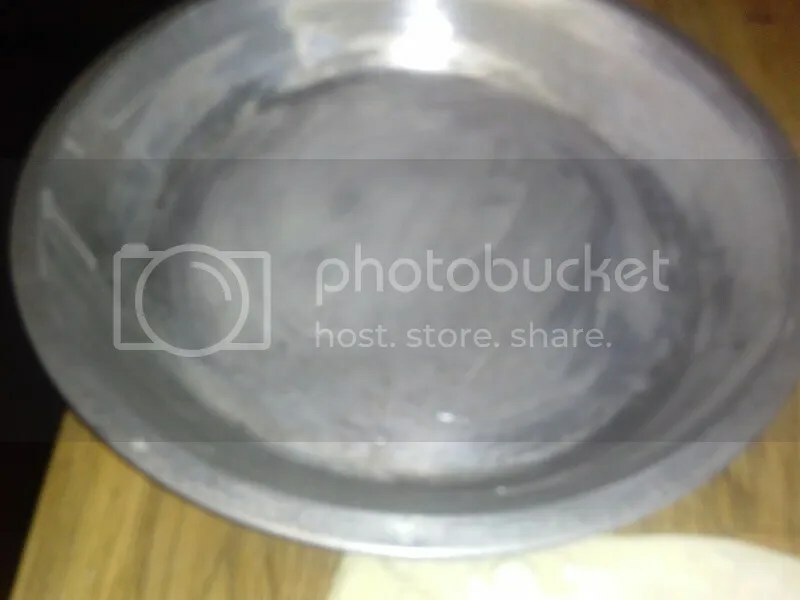 Use the remaining butter to grease your baking dish. 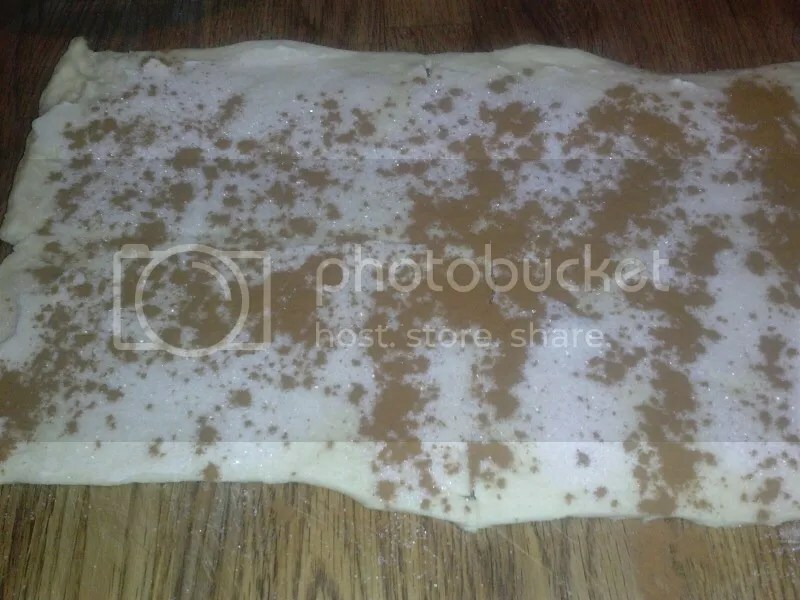 Sprinkle the sheet with granulated sugar and ground cinnamon and then smooth it with your hand or a spatula. 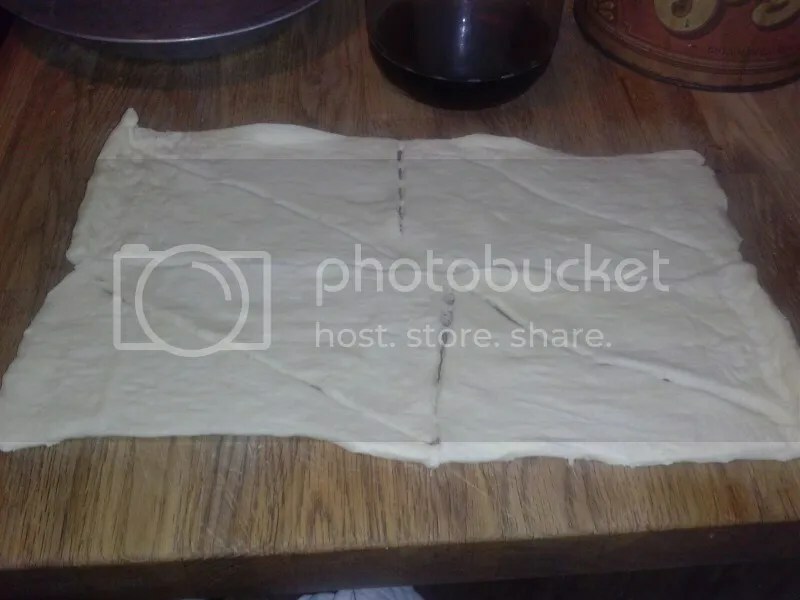 Slowly, roll up the crescent sheet and then cut your rolls. Place them in the baking dish, cut side up. 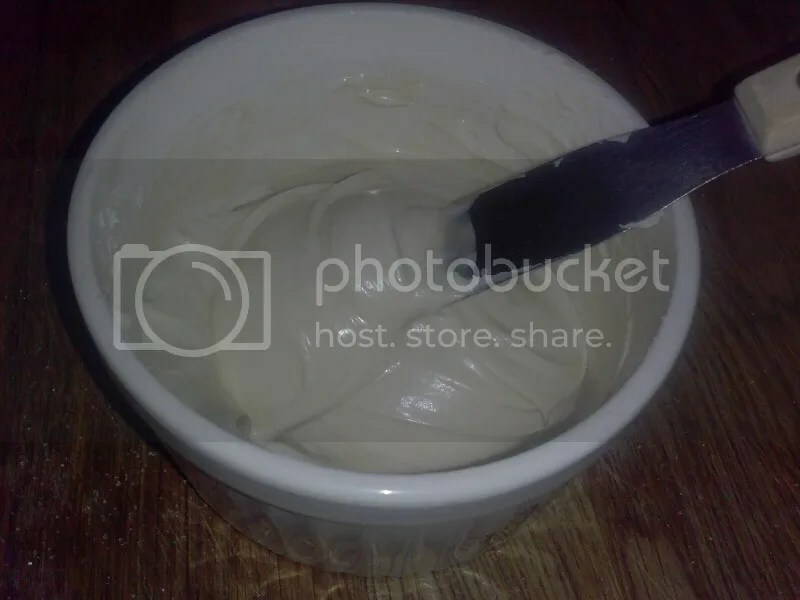 Mix together 1/4 cup of frosting and maple syrup. Mix until smooth and combined. Ice the rolls as soon as they come out of the oven! Definitely going in the recipe book!! Yummy! I'm trying to find out ways to make more food at home. Thanks for sharing and linking up with Countdown in Style! Don't forget to come back on Friday to see if you were featured! I like these better than Pillsbury because you can adjust the flavors! Look at that! Never thought! I'll have to give this a try! Thanks for linking up in the Weekend Re-Treat! Love how easy these are! Pinning! Thanks for sharing at the Foodies & Crafties Blog Hop! I can't wait to see what you link up next week! #foodiescraftiessoiree I would love for you to hop over anytime to Apeekintomyparadise.com and link up with the parties I co-host throughout the week! You've been featured at Countdown in Style: Feature Friday! Super yummy and easy! Thanks for stopping by! I always do! Thanks for swinging by, Cathy! Thank you so much, Daniela! I am truly honored to be chosen as a feature!!! 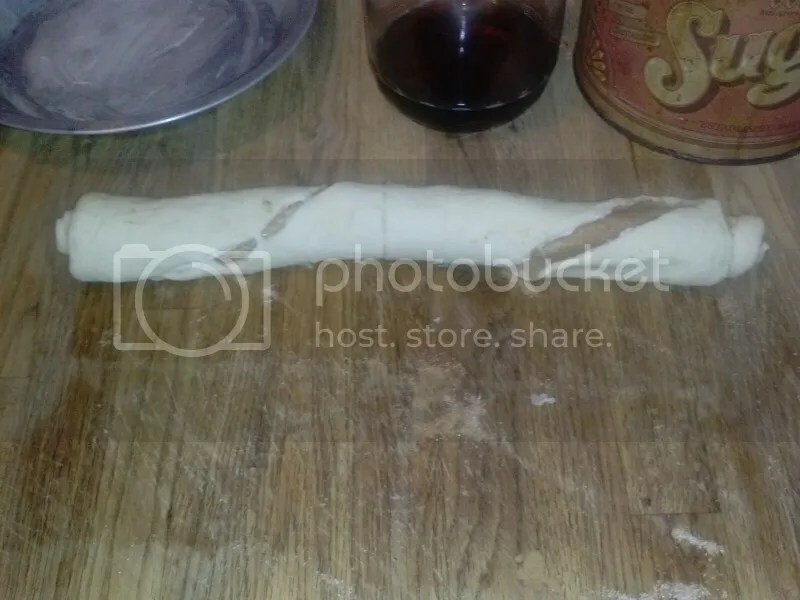 Crescent rolls are great! Flaky and soft! Yum Yum Yum! Me too! Cinnamon rolls are always delicious!